Since their launch over a decade ago, Keurig machines have come to dominate the North American market for home brewers. Many models now exist, and sometimes it can be difficult to know which one to buy. 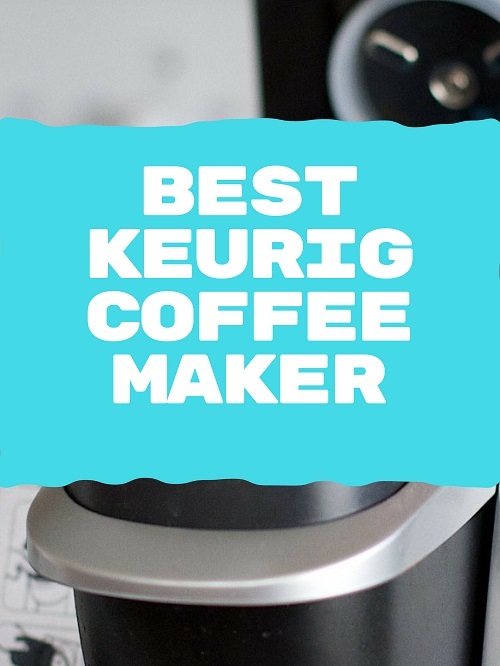 To help you decide, here’s our guide to the best Keurig coffee maker. Keurig Coffee Machine Reviews – Our Top Picks! How to Choose the Best Keurig Coffee Maker? 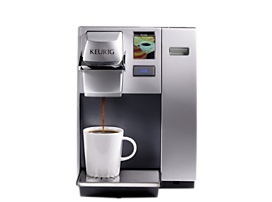 Best deluxe Keurig 2.0 series model. Has the ability to brew from K-Mug and K-Carafe pods and includes many features that allow you to customize your coffee. Best entry-level Keurig 2.0 brewer. The perfect machine for those who want to brew with K-Mug and K-Carafe pods but don’t need all the frills of a top-end machine. Before deciding on the best Keurig coffee maker for you, let’s remind ourselves about the advantages of Keurig machines and why they became so popular. Keurig brewers were originally created as an answer to the age-old problem of stewed office coffee that was such a common feature in workplaces up and down the country. Traditional machines kept coffee warm on hot plates, but coffee that sat in a jug all morning would quickly become bitter and unpleasant to drink. Keurig’s innovation was to develop a system that brewed individual beverages from a pod, allowing workers to enjoy a fresh cup each time. However, these machines proved so successful that it wasn’t long before a version designed for home use was released. These machines offered the ultimate in convenience. All you did was pop the pod of your choice into the machine and hit brew – the machine did the rest. There was no need for grinding or dosing – and there was no clearing up after. You simply discarded the empty pod after use. American soft drink company, based in Plano. 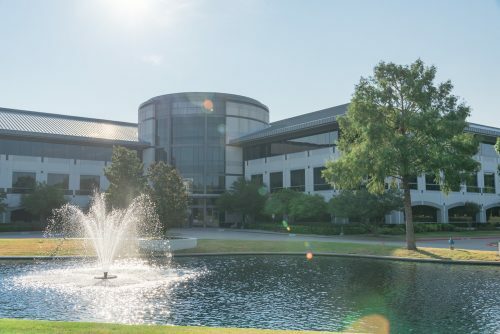 Formerly called Dr Pepper Snapple Group, Inc.
Keurig machines also eliminated human error from the brewing process – Keurig machines guaranteed a perfect cup every time. The hugely successful original line was superseded in the early 2010s when the second-generation Keurig 2.0 machines were released. The major development was that the new line of brewers allowed users to make mugs or carafes of coffee using the new K-Mug and K-Carafe pods. However, these new machines also contained a DRM device that prevented the use of unofficial pods – only genuine Keurig 2.0 pods would work. This created a backlash against the company from disgruntled customers who objected to being “locked in” to only buying Keurig pods. The company eventually relented, releasing the reusable “My K-Cup” pod, allowing users to brew coffee with regular grounds. Since then, another generation of machines has been launched and the DRM device has quietly disappeared. The new machines allow the same convenience, speed and ease of use that has been the hallmark of all Keurig brewers since their conception – but now users are once again free to use any compatible pods they choose and are not limited to buying only official Keurig-approved products. The K575 is the Rolls Royce of Keurig’s second-generation 2.0 range and offers the widest range of features and customizations of any 2.0 machine. The K575 allows you to brew a range of drink sizes, including cups of 4oz, 6oz, 8oz, 10oz and 12oz, mugs of 12-18oz and carafes 22-30oz. 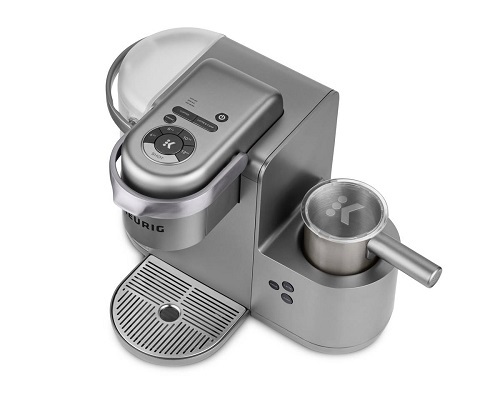 It also features adjustable strength controls and five temperature settings, allowing you to customize your drink to exactly the way you like it. This brewer includes an 80oz water reservoir, the largest in the 2.0 range, holding enough water to brew up to ten cups or more between refills. The machine also has a hot water on demand mode, allowing you to use the machine for hot water even when not brewing a drink. Like all Keurig machines, the K575 offers the ultimate in speed and convenience, allowing you to brew a single cup of coffee in less than a minute. 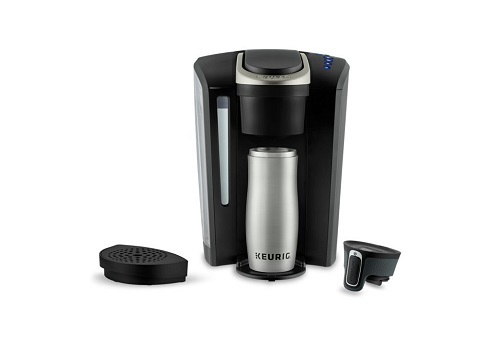 It is fully compatible with all Keurig 2.0 K-Cups, K-Mug pods and K-Carafe pods. 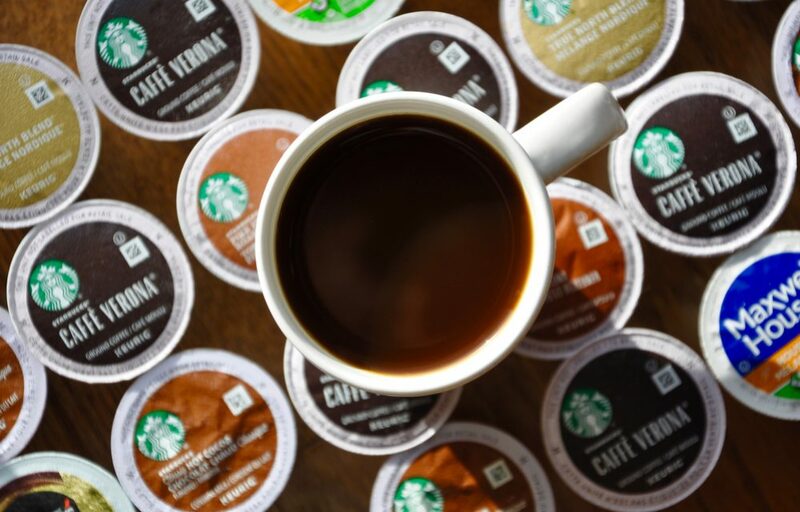 It won’t let you brew using unlicensed pods or even older Keurig pods – but reusable ‘My K-Cup’ pods are now available, meaning you can also use regular ground coffee, offering more flexibility and freedom. One great addition is the programmable timer, which allows you to tell the machine to start brewing at a predesignated time, meaning you can have a steaming pot of coffee waiting for when your alarm sound – although this is only possible when using K-Carafe pods and not regular K-Cup pods. Overall, this is a great machine for big families or people who those who tend to drink lots of coffee and who enjoy a large number of additional features and options. It is perhaps less suitable for those who only require more basic functions and who don’t get through so much coffee every day. With this new brewing system, Keurig has gone back to basics and produced a tiny machine that does one job and does it well. This coffee maker is designed to produce hot drinks with a minimum of fuss in the shortest possible time and without any unnecessary complications. At less than five inches wide, this is the ideal coffee machine for small spaces or for those who prefer to keep their kitchen clean and uncluttered. Despite the small size, this machine is still capable of storing up to nine K-Cup pods and will produce a cup of coffee in around one minute. Compared to some other machines, the functionality of this machine has been reduced to just the essentials, making this a great option for someone who doesn’t want a complicated brewer with countless features that will remain unused. The controls simply couldn’t be easier to use. The K-Mini Plus can brew drink sizes ranging from 6oz to 12oz. It is not compatible with K-Mug or K-Carafe pods, but the brewer is travel mug-friendly, meaning you can brew coffee directly into your tumbler. It also features a “strong brew” option for a richer, more intense drink. Since this brewer is so small, the reservoir only holds enough water for one cup. You simply fill the reservoir each time you brew. This also means that water is heated for each cup every time you brew, allowing the machine to incorporate a 90-second auto-off energy saving function. This is the ideal machine for anyone with limited space in their home or for those who don’t like large appliances. It is also perfect for anyone who simply wants a no-nonsense coffee maker that brews great coffee without lots of superfluous extras. This machine belongs to Keurig’s original line of machines that brought the company such success and includes many of the features that made Keurig brewers so popular. The Keurig K55 allows you to brew a cup of your favorite beverage in the shortest amount of time and without the hassle of brewing with a traditional system. You pop in the pod, choose your cup size and hit brew – and the machine does the rest. This machine allows you to select the size of your cup – there are three options to choose from, 6oz, 8oz or 10oz, the most popular sizes of drink. The K55 is compatible with all original K-Cup pods as well as K2.0 pods; however, it doesn’t accept K-Mug pods or K-Carafe pods. The simple and uncluttered push-button controls are simple to understand – even the most tech-averse will be able to operate this machine with ease. The display also includes indicators to tell you when to fill the reservoir or when to descale the machine. The reservoir itself holds 48oz of water, plenty to make up to six or more drinks before needing to be refilled. There is also an auto-off function that turns the machine off after idling for two hours, helping you to save energy and reduce your electricity bill. The K55 lacks a few of the features that were introduced in more recent models. Notably, there is no temperature adjust function and there is no programmable option. However, since the machine brews coffee so quickly, this is hardly a major issue. This model is supplied with a water filter handle and two filters, meaning you can always brew with the purest water – guaranteeing you always drink coffee of the highest quality. This classic machine is ideal for someone who appreciates all the original features that made Keurig so successful but who won’t necessarily miss the extra functionality that was added to later models. The K-Café machine is one of the most innovative brewers Keurig has ever produced. The outstanding feature of this machine is the built-in frother that allows you to make true lattes and cappuccinos. While other models only allow you to brew drinks that resemble your favorite coffee shop-style drinks, this brewer allows you to make the real thing. By using the “shot” feature and the built-in milk frother, you can now produce authentic specialty espresso-based drinks in your home. This brewer features cup size selection, allowing you to choose between 6oz, 8oz, 10oz and 12oz beverages. There is also a “strong brew” function, allowing you to customize your drink even further. However, note that there is no adjustable temperature control. 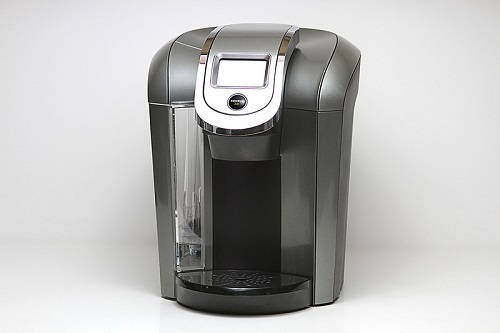 This machine is compatible with any K-Cup pod – and the “shot” function also works with all K-Cup pods. However, this machine does not accept K-Mug or K-Carafe pods. The K-Café features a large 60oz water reservoir, meaning you can brew at least six or more cups before needing to refill. It also has a two-hour auto-off feature; it is possible to disable the auto-off function if you prefer your machine to remain on all the time. This is the perfect machine for someone who wants to brew all the classic Keurig-compatible drinks but who also wants the flexibility to get creative brewing coffee shop-style drinks with real frothed milk. However, if you specifically want to use K-Mug and K-Carafe pods, this machine is not for you. The K-Select machine features the classic Keurig design and offers the ability to produce coffee and other beverages with a minimum of fuss. When you insert a pod into the machine, it is able to automatically detect the optimum settings for the drink. However, you also have the option of selecting one of four beverage sizes (6oz, 8oz, 10oz or 12oz) and regular or normal strength, allowing you to customize your drink to your preferences. The K-Select also has the ability to produced iced beverages, making it perfect for the hot summer months too. This machine is able to produce your drink in under a minute and features quiet brew technology to eliminate excessive noise. The push button controls have been designed for ease of use, meaning just about anybody will be able to operate this machine. The water reservoir has a generous capacity of 52oz – this is ideal for families who get through lots of drinks since you won’t have to keep refilling the machine quite so often. The energy-saving feature turns the machine off after a period of idling, helping save money on your electricity bills. Similar to many other Keurig machines, this model also features a maintenance reminder that lets you know when to descale the brewer. The drip tray is removable, allowing it to accommodate tumblers – although this machine does not accept K-Mug or K-Carafe pods. This machine would be a good pick if you have a large family or otherwise tend to get through large quantities of beverages but don’t want an overly complicated machine. However, this might not be the best option if you value the ability to customize your drinks over simplicity of operation. When Keurig launched the second-generation 2.0 line of brewers, the K250 was intended to be the entry-level machine that offered the major upgrades common to all the new machines without the added frills of the top-end coffee makers. 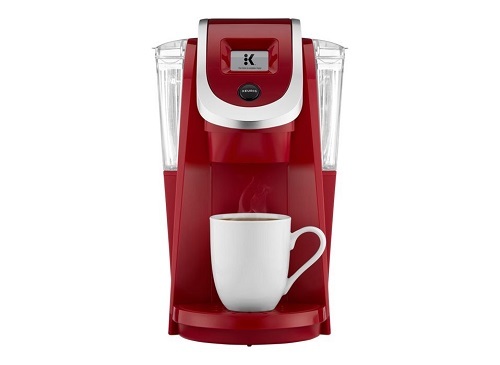 The major advantage of the K250 when compared with the original line of Keurig machines is its ability to brew mugs and carafes of coffee rather than just cups by using the special K-Mug and K-Carafe pods. The second-generation machines also feature touch-screen rather than push-button controls, making it simple to select the drink options and customize your beverage the way you like it. As well as multiple drink sizes, you also have the option of changing the strength of your drink. Note, however, that this machine does not allow you to adjust the temperature of your drink. The water reservoir holds 40oz, meaning you can make multiple drinks between each refill – although people who are likely to use the machine more often might benefit from a larger machine with a reservoir that has a larger capacity. The K250 has a hot water on demand feature, meaning you can use it to deliver hot water, even when you don’t want to use it to brew a drink. The drip tray is removable, making the machine compatible with larger tumblers as well as regular-sized cups. This is the machine to go for if the ability to brew mugs and carafes of coffee is important to you but you don’t need the extra functionality of a top-end machine like the K575. However, if you don’t need to brew K-Mug or K-Carafe pods, you might also consider one of the more recent models. The K-Elite is similar in many ways to the K-Select – but with a few extra features and additions that make it a superior brewer. This machine offers five drink size options rather than the four available on the K-Select. For those who prefer a smaller, more intense cup, this coffee maker allows you to prepare 4oz cups. It also features a “strong brew” option for an even richer, more powerful brew. One welcome feature on this model is the one-touch iced beverage function. You simply fill your cup with ice and hit the ice brew button and the machine adjusts the strength of the drink for a perfect iced beverage, ideal for the hot months of summer. Unlike most of the latest range of brewers, the K-Elite also allows you to select the temperature of your drink – within the range of 187°-192°F – giving you even greater control over how you brew your beverage. Brewing a single cup of coffee with this machine takes under a minute. The large water reservoir holds 75oz, meaning you won’t need to refill your coffee machine quite as often as with smaller models, an important consideration in a machine that is destined to see a lot of use. The machine is operated by a simple push-button control panel for ease of use, and the K-Elite also includes an auto on/off function to help you save electricity but also to have the machine ready and waiting when it is needed. This machine includes the useful hot water on demand ability too. The K-Elite is the ideal option for larger families who will be using the machine often and who also appreciate the flexibility to brew different sizes, strengths and temperatures of drink. 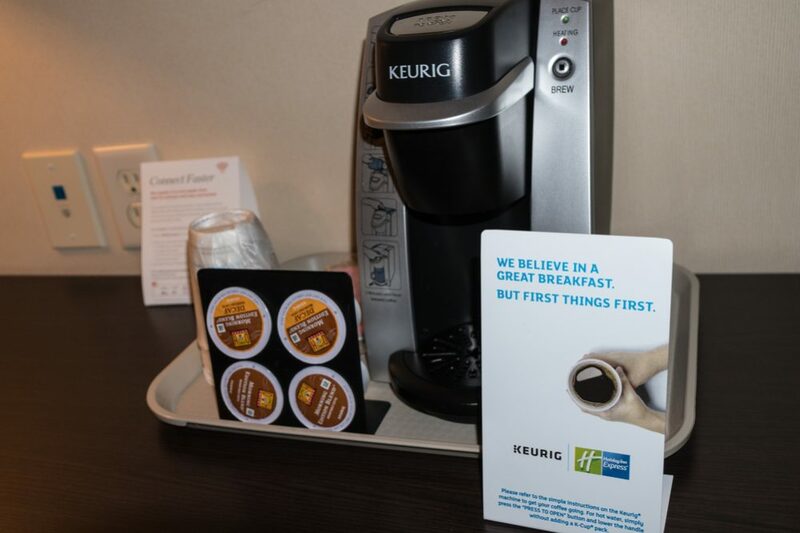 This Keurig machine is aimed at the office use market rather than for home users – to this end, it includes several features making it more suitable for the work environment. One of the key adaptations that make this machine ideal for the office is the extra-large 90oz water reservoir. In an office of coffee and tea drinkers, this will mean the machine needs to be refilled less frequently; the reservoir holds enough water for up to 16 or more drinks. Another useful feature is that it is designed to be easier to drain and store, important during holidays when the office will be empty and the machine won’t be in use. It features an easy-to-use touch screen display and allows you to select different beverage sizes (4oz, 6oz, 8oz, 10oz), also important in an office where lots of people will be using the machine, all with different preferences. This machine also features an auto on/off function – again, very useful in the office since, in a work setting, it can be very easy for workers to forget to turn the machine off before going home. Note that this machine is not designed to be plumbed in. While in theory, it is possible to plumb it in, this would void the warranty and is therefore not recommended. This is a great choice of machine for an office environment since it allows workers to select their beverage from the range of Keurig pods without losing valuable work time brewing coffee. However, in offices that consume large quantities of coffee and tea, a plumbed-in machine might be better. With several generations of Keurig coffee makers available with a whole range of features and capabilities, it can now be hard to decide on the most suitable machine. 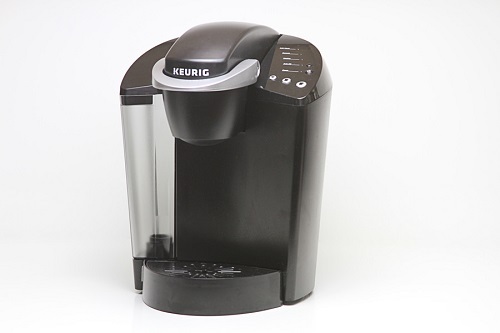 Here are the main points to look out for when choosing the best Keurig coffee maker for you. One of the first points to consider is whether you hope to use K-Mug and K-Carafe pods or whether you are only planning to brew coffee in cup sizes (4oz-12oz). The biggest innovation with the second-generation Keurig 2.0 models was that they accepted the new types of pods, allowing you to brew mugs in sizes of 12-18oz and carafes of 22-30oz. If you need to make beverages in these larger quantities, a machine from the 2.0 line might be worth considering. However, if you only want to make drinks in single cup sizes, machines from the original line or the more recent lines of Keurig brewers might be a better option. Note that to brew carafes, you need to use the dedicated Keurig carafe – which usually needs to be purchased separately. The most controversial aspect of the Keurig 2.0 range was the inclusion of a DRM (digital rights management) device that prevents the use of non-official “rebel” K-Cups. Although it is now possible to buy a reusable pod that allows you to brew with regular coffee (see below), the fact that you can only use approved Keurig pods might put some people off. It is possible to “hack” a Keurig 2.0 machine using one of several methods, but again, some people might think twice about investing in a machine that needs tinkering with to make it work with unofficial pods. 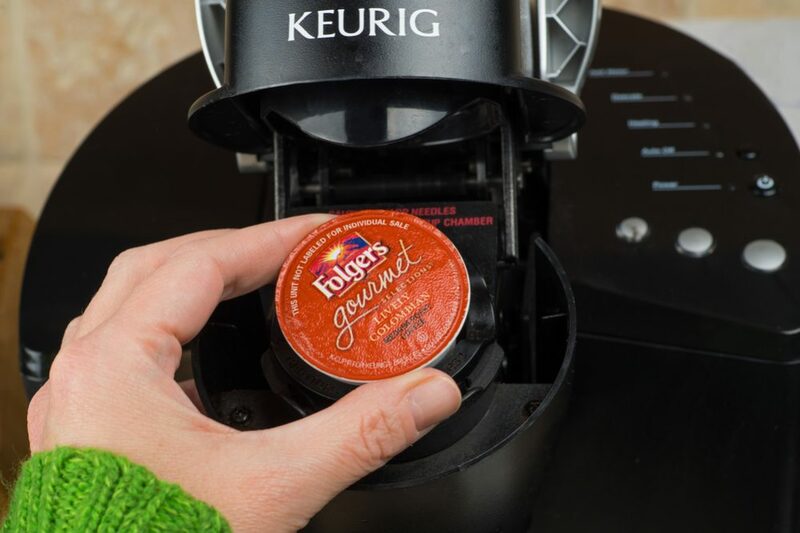 As a response to customer dissatisfaction resulting from the DRM device in 2.0 models, Keurig released a reusable pod that can be filled with regular ground coffee and used over and over again. This offers Keurig owners much more freedom to use any coffee they choose – and it is also a much more ecological solution than the standard single-use pods that the machines accept. All Keurig machines are compatible with My K-Cup pods. Related to the DRM device, it is worth mentioning something about the types of drinks available to Keurig owners. When the original Keurig machines appeared, the company had a patent on the pods, meaning that only official Keurig pods could be sold. However, when the patent expired, this opened up the market to other companies to begin producing coffee in pods that were compatible with Keurig machines, even if they were not officially approved by Keurig. This was good news for owners of Keurig machines since this gave consumers a much wider choice of products from which to choose. 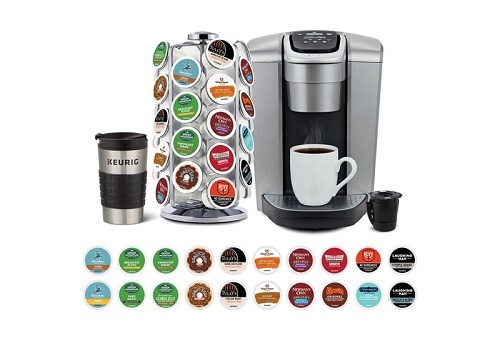 Many of the non-official K-Cups were also much cheaper than the official Keurig-approved pods. This was the main reason that Keurig created the DRM device for the 2.0 models, although as we’ve already said, the newest models no longer include this device. 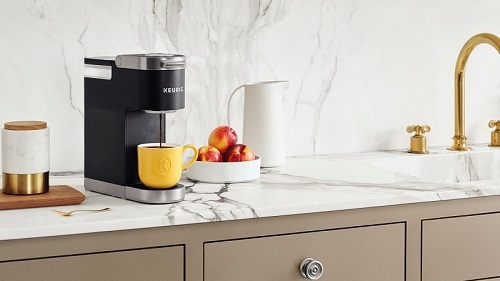 In terms of official pods, Keurig has probably the widest range of beverages on the market, including coffees, teas, hot chocolates and hot ciders. However, it goes without saying that machines that aren’t restricted by the DRM device allow you to choose from an even wider selection of pods. Keurig machines have always been known for their ease of use. Simply put, it could hardly be easier to make coffee than when using a Keurig. The original first-generation machines relied on push-button controls whereas the 2.0 machines incorporate touch-screen displays. The higher-end 2.0 machines have color displays while the more basic models have black and white screens. In the most recent models, the touch-screen has been replaced once again by simple push-button operation. Whether you prefer touch-screen operation or push-button controls is down to personal preference, but all Keurig machines are extremely simple to operate. Most Keurig machines allow you to select the size of your drink. The most basic models only give you the choice of three or four drink sizes whereas others offer many more options. Most – although not all – Keurig machines offer the capability to choose between a regular or a strong drink. If you prefer a stronger brew, this might be something worth paying attention to when choosing your machine. Some top-end Keurig machines allow you to control the temperature of your drink, giving even greater control over the brewing process. This feature is only available in some of the most advanced models; look out for this feature if temperature control is important for you. The size of the water reservoir varies quite significantly from machine to machine and may be an important consideration, depending on how much your machine is likely to be used. You may also like: Why Does Your Coffee Taste Bitter? The Reasons Need to Know! If you have a big family or otherwise consume large quantities of coffee, tea or other beverages, choosing a model with a large reservoir is advisable. This will avoid you having to refill the machine too often, something that can quickly become an irritation. If, on the other hand, your machine will only see more occasional use, a model with a smaller reservoir is probably acceptable. Some of the most advanced Keurig coffee makers offer the ability to program the machine so that it switches on and starts brewing at a predetermined time. This is a particularly useful feature if, for example, you want to set the machine to come on and brew your coffee so it is ready and waiting when your alarm sounds in the morning. This way, you won’t need to lose valuable moments setting up the machine to brew when you crawl out of bed. In some machines, notably the K575 included in this review, this feature is only available with the carafe and not with regular K-Cup pods. While at first sight, this might seem a little strange – but as it only takes under a minute to brew a regular single cup, the time lost will be minimal. However, since it takes longer to brew a full carafe, it makes more sense for the machine to have the option of starting automatically. In any case, if the ability to have a coffee brewed and ready when your alarm wakes you in the morning seems like a luxury you would enjoy, this is definitely a capability worth checking for. Most Keurig machines include some kind of energy-saving auto-off function. In the majority of the range, the machine will turn itself off if left idling for two hours. This allows you to economize electricity consumption and perhaps reduce your bills a little. Since it takes a few minutes for the machine to heat up from being switched off, this feature is useful for periods when the machine is not in use. Once you turn it on and the water heats up, it will be ready to brew again as you require. Some models also allow you to deactivate this feature, meaning your machine will be ready to brew whenever you want with no heating up period. The K-Mini Plus deserves a special mention here since the system is a little different. Since this machine has a reservoir that only holds enough water to brew one cup and needs to heat the water every time you brew, the auto-off function kicks in after only 90 seconds. This is because there is no point in keeping the machine switched on in between brewing since it doesn’t need to keep the water hot. This machine is able to heat the water and brew your coffee in only a few moments since it doesn’t need to heat a larger volume of water. Similar to the auto-off feature is the auto-on function. Since there is a small waiting period after switching on the machine before you can brew your first cup, some machines also include a programmable auto-on feature. This allows you to set the machine to come on at a designated time to pre-heat the water necessary to start brewing. This means that when you want to brew the first cup, the water is already hot and the machine is ready to go, eliminating even the short wait time before brewing begins. The size of the machine can be an important consideration for several reasons. First, if you have a small kitchen or other room where the Keurig will be installed, choosing a smaller machine is obviously the wiser option since the larger models can take up quite a lot of space. Some models, notably the K-Mini Plus, is designed to have the smallest possible footprint, making it the perfect option for homes where space is limited. On the other hand, if you have a larger amount of available space and you can fit in one of the larger machines, this might be the better option. Larger machines benefit from having bigger reservoirs and so need to be refilled less frequently. In most cases, they also offer more functionality and more customizable brewing options. If you want a higher-performance machine, you should consider whether your home has enough space to accommodate a larger Keurig. Many of the newer models include a hot water on demand feature. 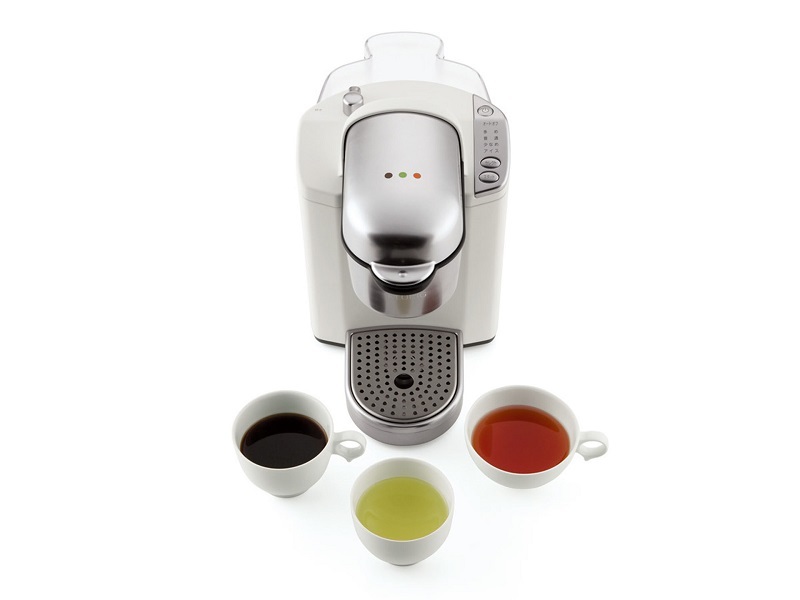 This allows you to use the machine just for hot water without the need to brew a beverage using a pod. This is especially handy when you want to make regular tea, hot chocolate, soup or anything else that only requires hot water. If you have this feature on your Keurig, it can be a much faster option to take the pre-heated water from the Keurig rather than filling a kettle and boiling the water manually. Some of the more advanced Keurig brewers also have the ability to make iced drinks. To do this, you fill your cup or mug with ice before brewing a hot drink over the ice. Of course, when brewing iced drinks like this, the ice melts when it comes into contact with the hot liquid, diluting the drink and making it watery. The iced drinks capability resolves this issue by brewing the drink much stronger. This essentially produces a kind of concentrate; when it melts the ice, the concentrate becomes diluted, creating a drink with the perfect desired strength. One of the problems with the majority of Keurig’s brewers is that they are unable to brew specialty drinks like cappuccinos or lattes. While pods exist that produce approximations of these coffee shop-style drinks, they are not the real thing. For example, a “cappuccino-style” pod may produce a drink that tastes similar to a coffee shop-brewed cappuccino, but since there is no froth, it is not a true cappuccino. However, the K-Café incorporates a built-in frother and a “shot” function – which together allow you to brew authentic versions of your favorite specialty drinks with real milk foam rather than something that just tastes a bit like them. Many Keurig machines include a removable drip tray. This allows the coffee maker to accommodate larger mugs and tumblers than would otherwise be possible. Some of the older models don’t include this capability, limiting you to only being able to brew with regular-sized cups. Related to this is how much liquid the drip tray can hold. Some drip trays are designed to hold the equivalent of a whole cup of coffee. This is useful for times when you inadvertently hit brew without realizing. When this happens, a large drip tray will avoid you brewing a whole cup of coffee onto your work surface. Keurig has been making coffee machines for home users for many years, all of them characterized by convenience and ease of use. With the company’s vast experience as well as the wide range of machines they produce, it should be easy to find the best Keurig coffee maker for your needs.